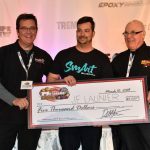 Motorama 2019… we’re gearing up! 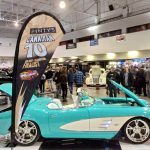 TORONTO, ON – The fifth annual Motorama Custom Car & Motorsports Expo takes place March 8, 9 & 10, 2019 at The International Centre. Located across from Toronto’s Pearson Airport, the three-day celebration of automobiles and motorsports will once again offer something for everyone who loves incredible vehicles and Canadian racing. 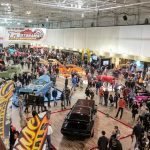 Exhibitors at the 2018 edition of Motorama will soon be receiving notices giving them an opportunity to renew and reserve their spaces for the 2019 show. Vehicle Registration Applications for Motorama, Spring Fever and the Racers’ Corral will also be available shortly. 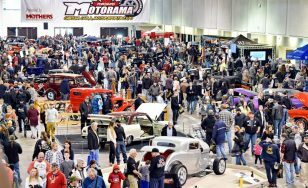 Companies interested in having a presence at Motorama – as an exhibitor and/or a sponsor – should contact us at (416) 962-7223 or email info@motoramashow.com. 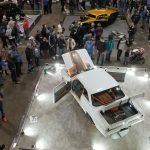 We’re currently lining up features and celebrities to appear at the show, and we’re close to announcing a major new component of the show that will fill its own new room at Motorama. Watch this site for news and updates, and be sure to like our Facebook page and follow us on Twitter. We’ll see you in March, at Motorama!